CAMPBELLS COVE APARTMENTS Kings beach, Caloundra, offer absolute beach front accommodation and takes full advantage of one of the most breathtaking and uninterrupted views in Caloundra and on the Sunshine Coast. 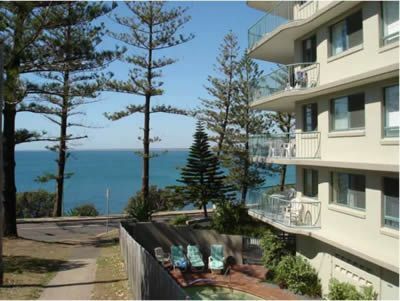 Our Caloundra accommodation units overlook the sand and surf of Kings Beach, Caloundra, the blue waters of Pumicestone Passage and across to Bribie Island, ships in the channel (which Caloundra is famous for), Moreton Island to the east and the spectacular Glass House Mountains to the west. It doesn’t get much better. We also offer a choice of three lovely beachfront apartments in the Gaze Away building right next door which is one building closer to the beach on the esplanade. Click here for more information regarding Gaze Away accommodation. 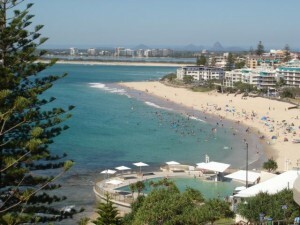 Campbells Cove Caloundra Accommodation is situated directly opposite the ocean with magnificent views. Relax on the balcony and watch the ships go by or enjoy a walk around the Headland or along Kings Beach to the Passage. We have a lift, security parking, cable TV and a heated pool. Linen is also provided. 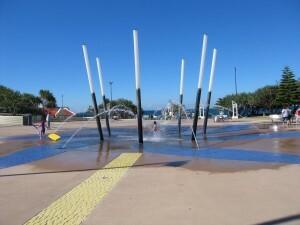 Also within walking distance is four different Kings Beach playgrounds for the kids and the interactive water play fountain is not to be missed. 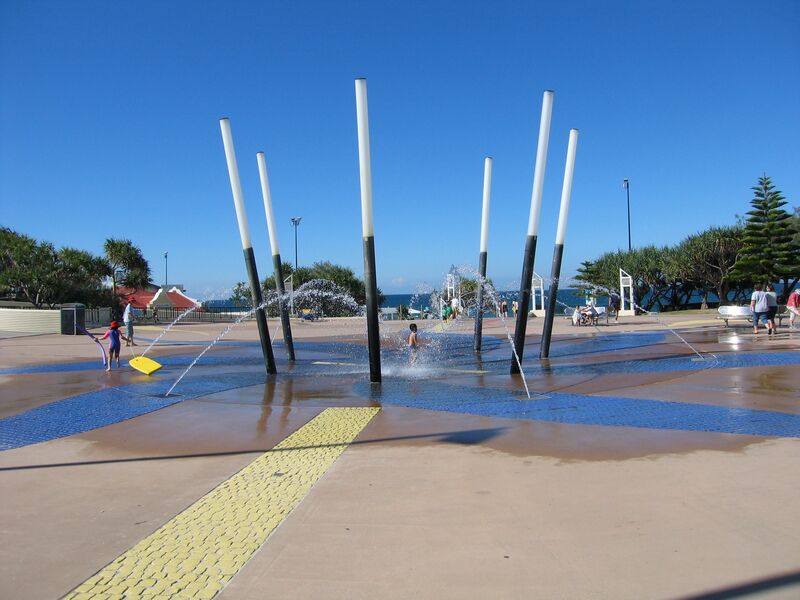 Another drawcard is the Kings Beach beachside salt water pool. Enjoy a refreshing swim, frolic with the kids or keep up your exercise routine.